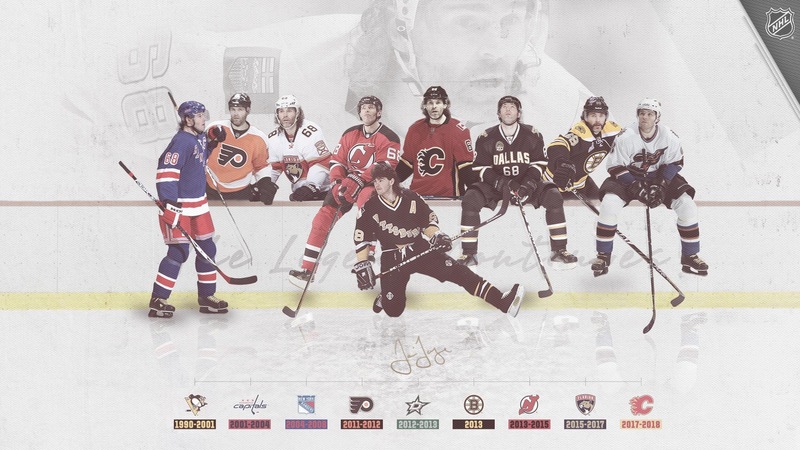 Jaromir Jagr’s long lustrous NHL career ended yesterday with a waive. Offered up on Sunday by the Calgary Flames to any team that might want to take him on, the 45-year-old Czech winger went unclaimed, leaving the Flames free to loan him to HC Kladno of the Czech League — his hometown team and one he happens to co-own. It’s not a proper farewell for a player so (as The Toronto Star’s Bruce Arthur wrote yesterday) preposterously talented, so outrageously coiffed, so effective for so long, so fun to watch. He deserves better. I’d read Arthur’s ode to him, if I were you. Then, if I (which is to say you) were still in a reading mood, I’d circle back to the Jagresque oral history that Kristina Rutherford, Ryan Dixon, and Gare Joyce put together for Sportsnet a couple of years ago — you would, I mean. You wouldn’t stop there, either: next up, necessarily, would be Rob Vollman’s statistical overview of Jagr’s career at NHL.com. Supplemented, maybe, by a look to ESPN’s review of some of the man’s amazing numbers? That’s on you. I can’t improve on that, but I can keep going with the reading recommendations. Browsing the Jagr bibliography, you’ll find Petr Cermak’s Člověk Jágr: Hokejova Bible (2003) and Jagr: An Autobiography (1997), the man’s own testament of himself, written with Jan Smid’s help. This is a while ago, of course, and I’m assuming that the 1,000 is a number that can’t have remained consistent over the years, especially in these post-stamp times we live in. That doesn’t mean we can’t spin up some imaginary totals. 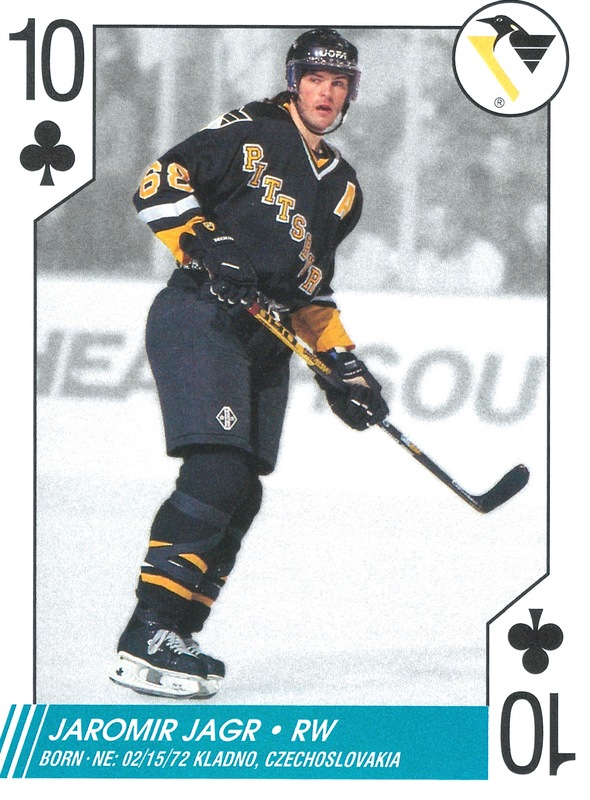 If the mail did keep up, month after month, for all of Jagr’s 24 NHL seasons, he and his mother would be looking at a truly impressive career postal accumulation of some 288,000 notional letters. What a chilly, chilly plain of ice. You’re mine, I’m yours. Mine, yours. You can be treacherous, treacherous, oh plain of ice! Jaromir is shivering and trembling. How I’ll tame you today, you plain of ice! You’ll writhe like a snake. What, are you afraid? Are you afraid you will have to give up the ghost? In the NHL the rink is thirty meters at most. Chilly, treacherous. My hero, my hero, my hero, mine, mine. Later, as actual-Jagr did in 1998, opera-Jagr heads out at the end of the semi-final shootout to face a Canadian goaltender in the shoot-out. In life as in dramatic composition, he hit the post. Ne-ne, ne-ne, never never fear. I am, I, I Jagr. Ne- ne-, never, fea- fea- fea- fear. 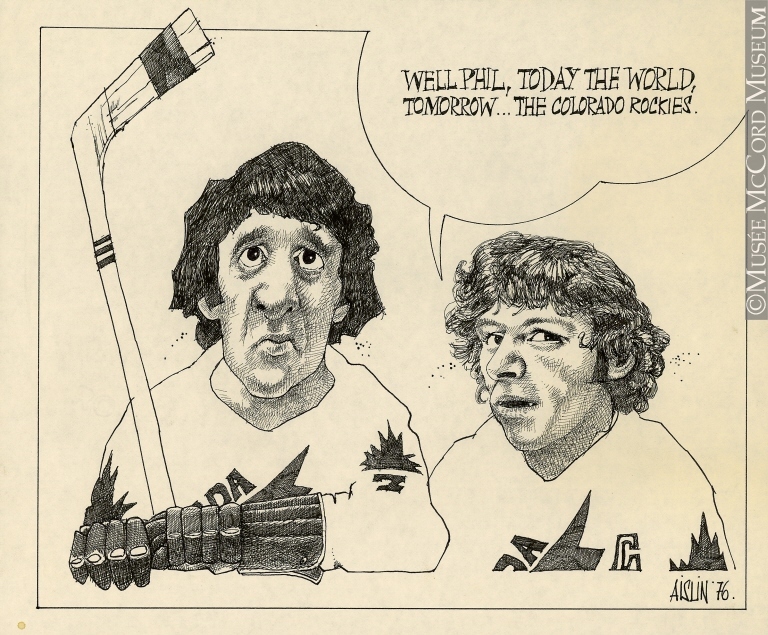 Bobby Hull couldn’t wait for the Canada Cup to be over in September of 1976. Hull didn’t play in the Summit Series in 1972 — wanted to, was disinvited, complained bitterly, fought to go, failed — but he was there in ’76, starring in Canada’s victory in the tournament that ran ahead of the NHL and WHA seasons. On a team that included Bobbys Orr and Clarke, Guy Lafleur, Phil Esposito, Rogie Vachon, and Bob Gainey, Hull would be a dominant force, scoring three game-winning goals in Canada’s seven games and assisting on two decisive others. In Montreal, the Czechs took Canada to overtime in the second game, where Darryl Sittler scored the game and tournament winner. “This is the greatest team in the world,” he told a Canadian Press reporter later in the dressing room. His teammates concurred, mostly. “I don’t think you’re ever gong to see a team as great as this again,” Marcel Dionne warned. The Brandon Sun was one paper that ran the CP story containing that generous thought. Right next to it on the page was a fuller account of Hull’s contribution to Canada’s success. In that one, he was sipping a beer when he was asked: how big a thrill is this all? 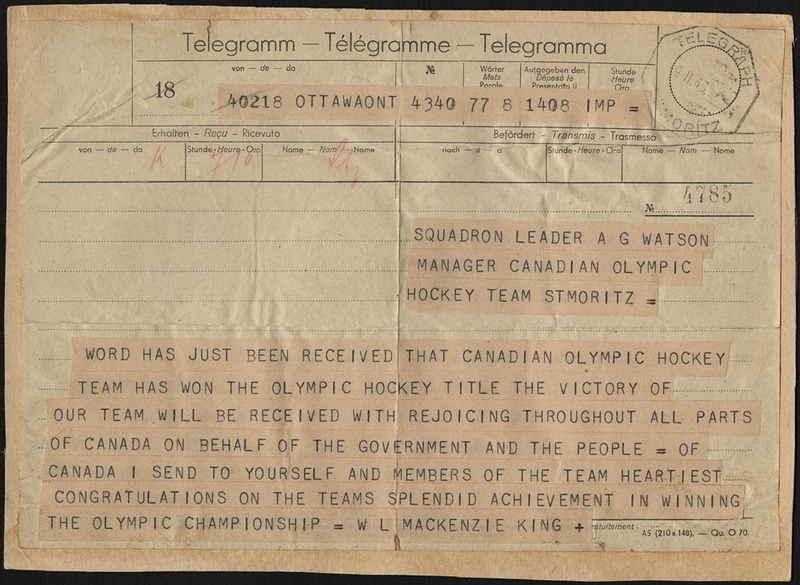 It was on this day in 1948 that the RCAF Flyers wrapped up the hockey gold medal for Canada at the V Olympic Winter Games in St. Moritz, Switzerland. Twelve years and a world war had passed since Canada’s awkward loss at the previous hibernal Olympics in 1936 and, this time, the Canadians made no mistake. Okay, so maybe it wasn’t as straightforward as Canadians hoped it would be. Having overcome the Swedes (3-1) and Britons (3-0), the airmen shellacked the Poles (15-0), lacquered the Italians (21-1), and enamelled the Americans (12-3). 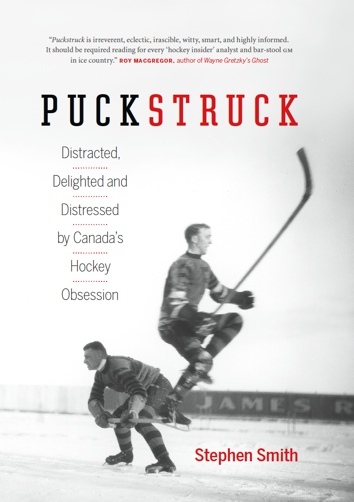 On February 6, the varnishing stopped: Canada could only muster a 0-0 tie against Czechoslovakia. “Real playoff hockey,” said Mike Buckna, the Czech’s Canadian coach. Canada was able, subsequently, to glaze both the Austrians (12-0) and Swiss (3-0) and thereby outrun the Czechs on goal average. The hosts from Switzerland secured the bronze. Congratulations poured in from Canada. By the following day, the team had received more than 200 cables from home, including greetings (above) from Prime Minister William Lyon Mackenzie King. There were salutations as well from the Chiefs of Army and Naval Staff and from RCAF Headquarters. Colin Gibson, Minister of National Defence For Air, sent his cheers to the team for lived up to the RCAF motto, Per Ardua Ad Astra (Through adversity to the stars). how to win the olympics: give ’em the works! Ever since hockey found its way into the Olympics in Antwerp in 1920, Canadians have enjoyed the glory of winning gold medals. 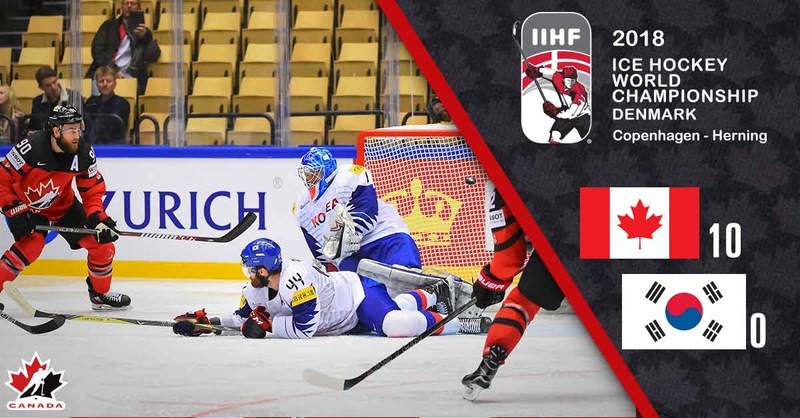 Easy enough at first — Canadian teams went 16-0-1 at the first four Games, scoring 209 goals while conceding just 7 — it got harder and harder as other countries got better and better. 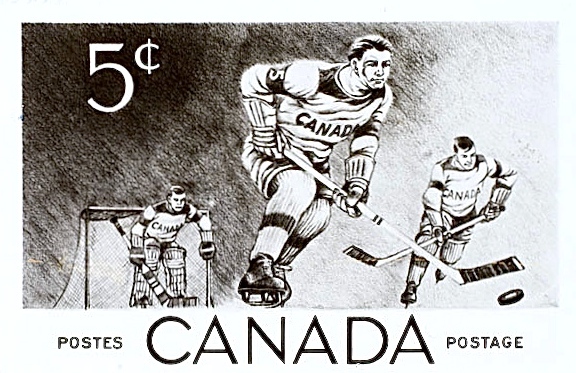 After winning six of first seven tournaments, Canada lost the plot in 1956, when the Soviet Union took over as the dominant force in Olympic hockey. We did our best in those years, with only minimal grumbling that they weren’t as amateur as they said they were, before skipping the 1972 and 1976 Olympics altogether. 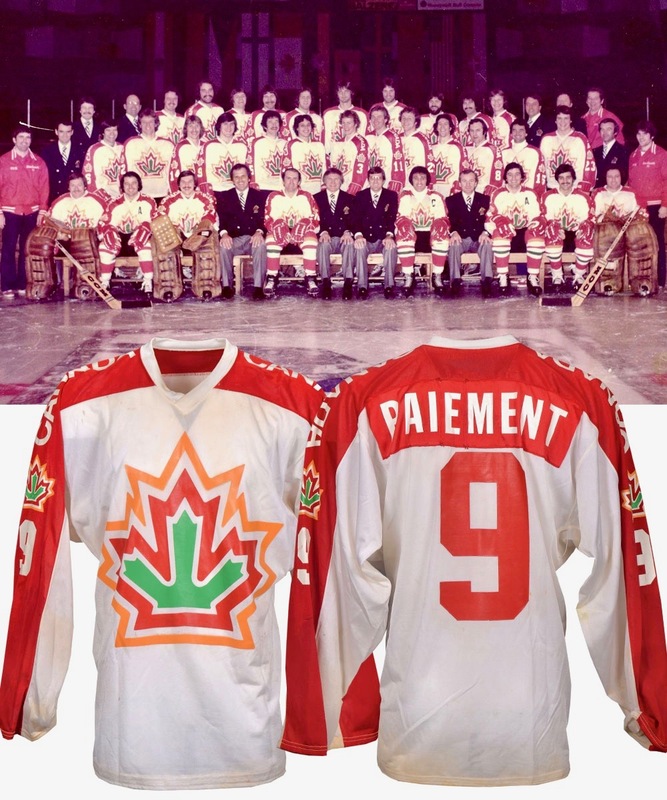 It took us a while, once we came back in 1980, to win the thing again: it was 2002, in Salt Lake City, before Canadians wore gold again on Olympic ice. The home-ice victory of 2010 remains fresh in Canadian memories. But that doesn’t mean it’s going to be easy in Sochi for Mike Babcock’s 2014 team. The coaches and players will have their own ideas about how best to win the tournament that gets underway on February 8. We’ll leave the on-ice plan to them. Chances are their preparations won’t include more than a cursory review of hockey’s literature, and maybe that’s where we can help. 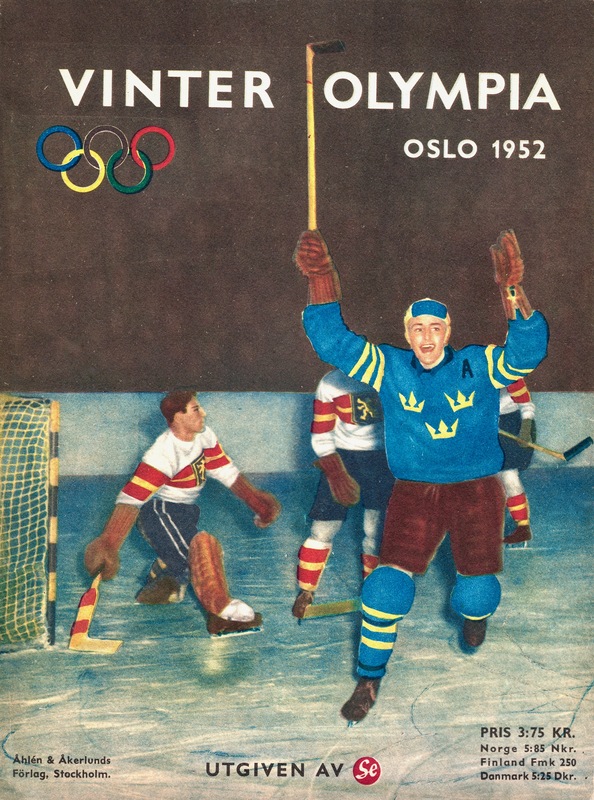 As our Crosbys and Tavareses, our Toewses and Luongos get ready for Russia, we’ll do the bibliographic heavy lifting with a look at literary answers to the old question of how best to bring home Olympic hockey gold. Off the shelf today: broadcaster Foster Hewitt’s third book, the 1950 novel Hello Canada! and Hockey Fans in the United States. Your dad reads in the paper that Canada is probably never again going to win another Olympic hockey title. That’s how it starts. What you do is you say, what, are you kidding me, why, dad, why? This is before the professionals started going to the Olympics, and that’s really the whole problem — as your dad sees it, anyway. Hockey, he explains to his son, it belongs to us, we invented it, and we’re the ones who taught the world to play. Not that we don’t love that the rest of the other countries like it, too, and have improved, it’s just that our best players all turn pro and we don’t have any outstanding amateur teams, so things are getting a little close for comfort, especially when you consider how good those Czecholsovaks are getting. You: But why is it so nationally important for us to win the Olympics? Your dad: We don’t have a big population in Canada. How do we make ourselves look big powerful in the eyes of other people? How? In wartime, our soldiers did it for us; when all we’ve got is peace, hockey has to do the job. Your dad: Maybe some countries can afford to let the world think they’re losing their vigor and courage but we’re not one of them. You: Hey, dad, why don’t you get a team together. Your dad: No, son, sorry, that’s just not how the world works. Except that it does. He does get a team together. Like Foster Hewitt’s own dad, W.A., who had a hand in organizing three Canadian Olympic hockey teams, 1920 through ’28, as well as (just for the record) refereeing the very first Olympic game in Antwerp in 1920 — your dad, in the story, is a well-connected hockey man who comes up with a four-year plan to build a team of stout young men to defend our national pride.